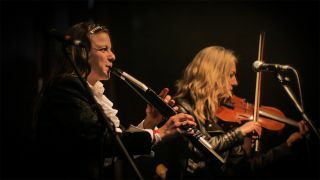 London-based psych folk outfit Flutatious have announced a series of live dates and festival appearances for the remainder of 2019. Flutatious released their well-received and aptly-named Festival album through Magick Eye Records in 2018, and featured on both a Prog Magazine CD and in the Limelight section of the magazine. "We have been really pleased with the reactions we’ve had to our Festival album and are really looking forward to getting out to play tracks from that and our previous albums," vocalist Stella Ferguson tells Prog. "We will be returning to visit great friends at festivals we’ve been invited back to and will also be playing some for the very first time. It’s going to be a fun spring and summer."